Keep Plenty Of Mop Pads! Your results can be affected by the way you use a steam mop! Many find steam mops to be cleaning tools that are nothing short of efficient and wonderful. However, it’s important to keep prep work and cleaning efficiency in mind so that you can use it to the utmost of its abilities. As a result, you’ll be able to save time while you use one of these innovative floor mops to clean your floors. If you follow some simple guidelines, you’ll be likely to find that a steam mop is an incredibly convenient tool when compared to standard bucket and mop cleaning systems. Using s steam mop is easily, and you’ll be able to touch up floors quickly. There’s no doubt that the purchase will be a happy one, and you’ll love how efficiently it cleans. When you’re shopping for a steam mops, there are a few things worth considering. For example, there are a variety of sizes, styles and mop heads that you can attach for different amounts of power. In addition, there are also some models that offer better features, which might make them a more suitable buy. Overall, these steam generated tools are a must-have! Before using a steam mop, it’s important to make sure that you prep the flooring. This will ensure that you get the best possible results without a lot of extra work. Consequently, the first thing you should do is sweep or vacuum the floor you plan to mop. Using a vacuum on the hardwood floor is going to be the best possible option. It allows for you to get everything out of any crevices or cracks that may be present. As a result, you’ll be able to address things like lint and dust when a broom cannot. Whether you use a broom or a vacuum, it’s important to remove as much debris as possible. Otherwise, it can end up getting your mop head dirty. In turn, you’ll end up having to give the mop a more serious cleaning afterward. Consequently, one way or the other you’ll end up doing the work! For those who prefer multifunctional tools, there are some steam mops out there which can double as a sweeper. This can be a great option for cleaning up debris and doing your steam mopping without having to use multiple tools in the process. The most important aspect to keep in mind is that the cleaner you get the floor before mopping, the less dirt will accumulate on the mop while you use it. This can go a long way toward making the process of mopping much easier. It’s wise to be very careful with a steam mop. While it can be a great tool for giving the floor a solid clean, the heated dampness can also cause problems to certain flooring types. As a result, you need to be very careful about what kind of flooring you use it on. Generally speaking, you shouldn’t have a problem if you use it on a floor that has an adequate seal. However, an unsealed floor isn’t going to be as friendly to the wetness involved. 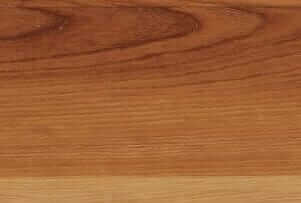 Consequently, a floor without a seal can end up with some serious damage. On top of that, it’s important that you have control over the steam mop at all times. You don’t want to leave it in one place while it’s in the process of heating up. That can result in excess moisture on both the pad itself as well as the ground below it. One thing you definitely want to avoid with a steam mop is excess moisture. When used correctly, the steam mop uses just enough water to ensure a quality clean without leaving puddles. It’s really best to keep the mop on the move as much as you can. If you need to let it sit for a little while, then make sure to place something under it that can handle the heat and the wetness. Otherwise, it’s best to keep it in hand. As soon as you’re finished, the pad should be removed as soon as you can and then the device allowed to cool until you can put it away. Another important factor is to make sure that you have plenty of mop pads on hand. This can help to avoid smearing whatever is on the floor during the messier clean-ups, and ensures you don’t have to try to make a single pad last for multiple spaces. Generally speaking, these mop pads are quite affordable, so you won’t need to worry about spending an arm and a leg on them. Some can also be washed and reused, which makes them even more convenient to use without too high of a cost. 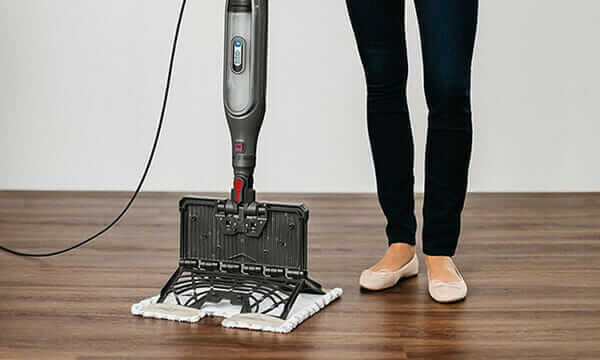 It can be a good idea to have a system when you use a steam mop, so that you remember the best times to change the mop pad to keep it functioning well. Remember that a clean mop pad means that the steam is able to clean more efficiently as well. Once the floor is clean, the mop pad should be taken off the mop as quickly as you can. After that, it should go through the laundy to prevent the growth of any bacteria as well as ensure that you have plenty of mop pads to use for all of your future tasks. One of the most important aspects to keep in mind is that these mops aren’t for using to clean a large mess from scratch. 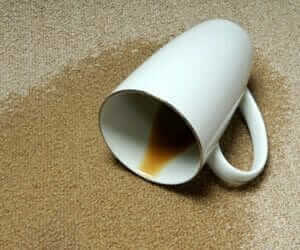 Instead, the floor should be cleaned of any debris possible before you get started. Once that has occurred, the device will be able to work more efficiently. If there is something like dirt on the floor, then using a steam mop isn’t the best idea. The heated water combined with the dirt can result in a larger mess. Consequently, you’ll want to use something else to get the dirt off the floor first. However, if your floor is regularly maintained and mostly cleaned, then the steam mop should work perfectly. Largely, it’s a great option for disinfecting and polishing up the area overall. This is an especially key aspect to keep in mind for those who have just purchased a steam mop. If you haven’t purchased a steam mop yet, then there are a number of fantastic options out there that you can rely on. One such example is the Shark, which has been used and appreciated by many who have had the chance to try it out. Overall, using a steam mop doesn’t need to be a difficult thing. It’s just important to make sure that you know when the best times to use it are. This isn’t the device you want to get down and dirty with when the kitchen or bathroom is already a muddy mess. Secondly, remembering to keep plenty of mop pads around can ensure the best possible clean wherever you use it. Make sure to have plenty on hand for whatever areas you’re working on. That way, each one can get the very best that the steam has to offer. 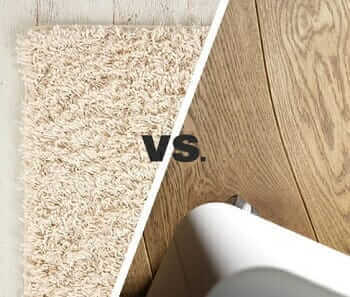 Finally, make sure that the kind of flooring you have it going to work well with a steam mop. Otherwise, damage can result in your flooring. Even if you don’t notice right away, absorbed water can become a very expensive problem to deal with later on.